Liverpool host Spartak Moscow on Wednesday night knowing that a point will secure their place in the last 16 of the Champions League. 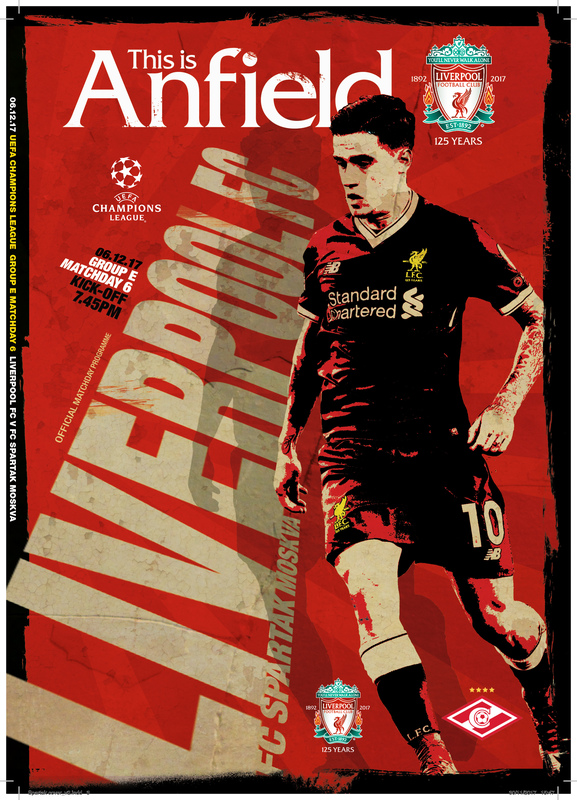 Follow our matchday blog for the best coverage of the build-up, action and reaction from Anfield. Basel, Bayern Munich, Juventus, Shakhtar Donetsk, Porto, Real Madrid. A reminder of how Liverpool's group finished - that goal difference is a joke. Want to relive that game in text form? Don't worry, we've got you covered. Check out James Carroll's verdict on Liverpool's 7-0 victory over Spartak Moscow here. 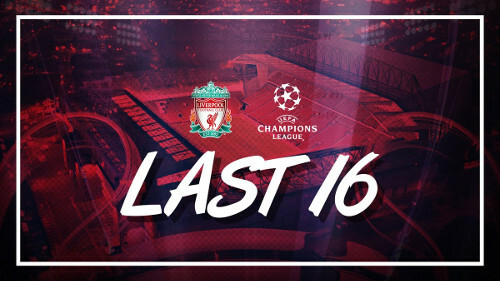 All over at Anfield and the Reds are through to the Champions League knockout stages as group winners. What a performance. What a team. Milner is stretching for a chipped ball into the left-hand side of the box but does brilliantly to head it back into a dangerous area. From there, Salah swerves a defender before finishing emphatically with his right foot. So, so close to seven. Mane slips Alexander-Arnold in behind with a beauty of a pass but Sturridge can only divert the Scouser's square over the bar from close range. Coutinho chips a ball over the top for Sturridge but the striker is beaten to it by an alert Selikhov. The Kop want a penalty but it would have been generous. What a way to warm up for the Merseyside derby! Salah drives at the Spartak defence before playing in Sturridge, who puts the ball across the box for Mane to (just about) divert the ball home. That wasn't an easy finish given the pass was slightly behind him. Promes controls the ball and whistles a shot just past Karius' goal. That'll be his last action, with the Dutchman replaced by Samedov immediately after. Roberto Firmino gets a well-earned rest, the Brazilian replaced by Daniel Sturridge. Six goals in six appearances for the Reds' No.9 this season. Fernando goes into the book after tackling Milner from behind. Georgi Dzhikiya making way for Spartak, with Mario Pasalic his replacement. And the Reds make their second change, Dejan Lovren being replaced by Trent Alexander-Arnold. What a night for Philippe Coutinho. The No.10 is teed up for a shot on his left foot just inside the box and his effort takes a deflection that wrong-foots Selikhov and takes the ball in. Thankfully, there's no doubt over where the ball was heading before the diversion and so the Brazilian has his first Liverpool hat-trick. Goodness me, what a hit. Milner gets in down the left-hand side and chips the ball up to the back post where Mane produces an unstoppable volley. Liverpool get us back under way and are attacking the Kop end this half. Look at the numbers behind the first 45 minutes with our Opta widget. A blistering start to the first half gives the Reds a big half-time lead at Anfield. 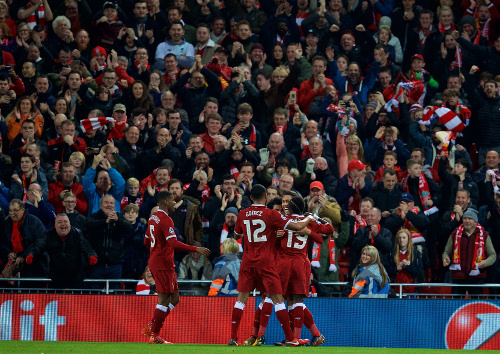 Two goals from Coutinho and a further strike from Firmino inside the first 20 minutes did the damage, with the only downside coming in Moreno's withdrawal due to injury. Moreno comes back onto the pitch but his return lasts less than a minute. Alberto Moreno receiving treatment on the pitch after twisting his ankle in a challenge. Hopefully nothing serious for the Spaniard. Firmino rolls his man in midfield and plays in Salah, who produces a beautiful first-time flick to get Mane away. Unfortunately, the Senegalese's shot is way over the bar - that would've been some goal. Another rapid break from Liverpool ends in Coutinho running onto a Salah pass ready to pull the trigger. But the No.10 looks to be impeded in winding up for the strike just outside the visitors' box. Unfortunately, the referee isn't moved to award a free-kick, and on replays that appears to be the correct decision. Mane pounces on a loose touch near the Spartak box and, though a defender cuts out the winger's chipped cross, he only succeeds in diverting the ball to Firmino. The No.11 does the rest from close range and puts the Reds firmly in charge. He's done it again and this time in some style. What football from the Reds as Mane, Salah and Firmino combine at pace before the latter rolls the ball across the box for Coutinho to divert it home with his left foot. Breathtaking football from the hosts. 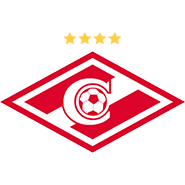 Spartak get the opportunity to break and work the ball into space at the edge of the box where Luiz Adriano is waiting. The No.12 gets a shot away, but Loris Karius is always comfortable enough in making a save down to his right. It's worth noting that Dzhikiya received a yellow card for his part in the penalty. 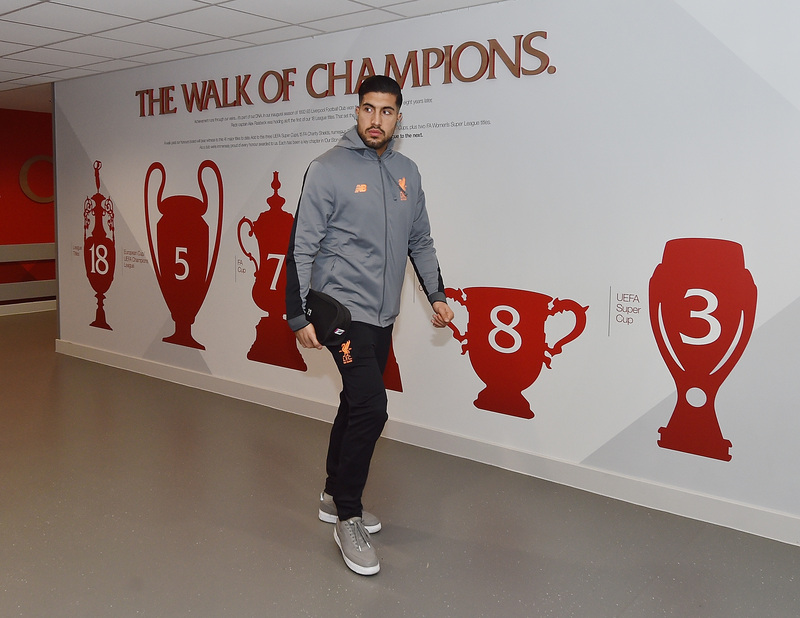 And Emre Can follows him into the book now for an overenthusiastic challenge in midfield; the German will miss the Reds' next European fixture as a result. The Brazilian steps up, waits for the goalkeeper to dive to his right and sidefoots the ball into the other corner of the net. Coutinho swings a cross into the box and Dzhikiya thumps into the back of a jumping Salah. The home fans call for a spot-kick... and the referee agrees. Spartak Moscow get the game under way. A rousing rendition of You'll Never Walk Alone and then it's into that famous Champions League theme. If Liverpool don't get the right result tonight, that'll be the last time they hear the latter this season. No margin for error! 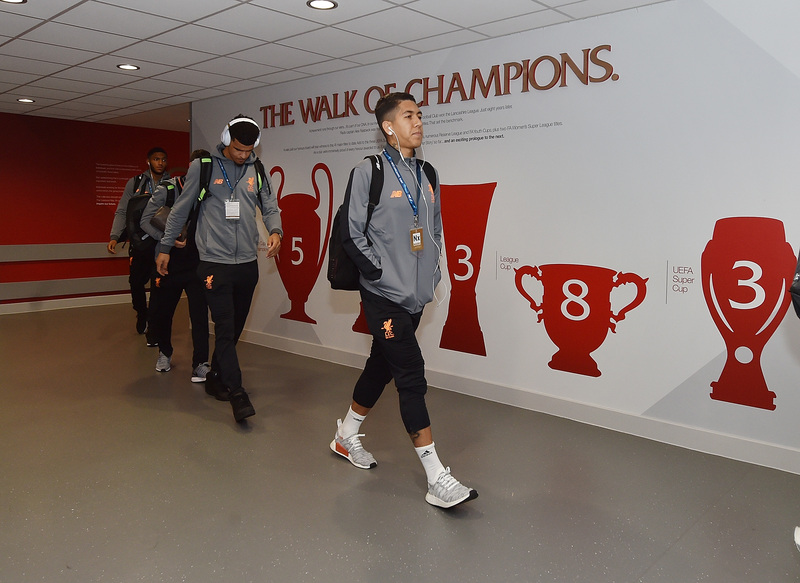 The players head in after their warm-up to a round of applause from Anfield, which is filling up nicely with 15 minutes to go until kick-off. The boss has called for a big atmosphere tonight - this famous ground rarely lets you down. 25 - Only PSG (25) have scored more goals than Liverpool (16) in the Champions League this season. Dynamic. Fancy those odds? Click here to bet now. Karius, Gomez, Klavan, Lovren, Moreno, Can, Wijnaldum, Coutinho, Mane, Salah, Firmino. 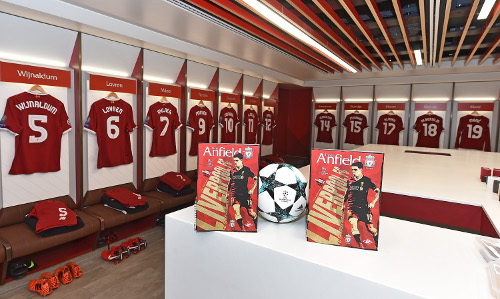 Subs: Mignolet, Milner, Henderson, Sturridge, Oxlade-Chamberlain, Solanke, Alexander-Arnold. 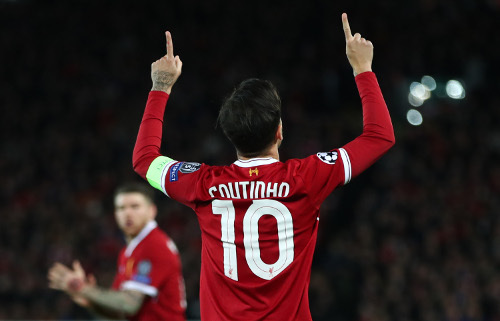 Philippe Coutinho captains the Reds this evening. 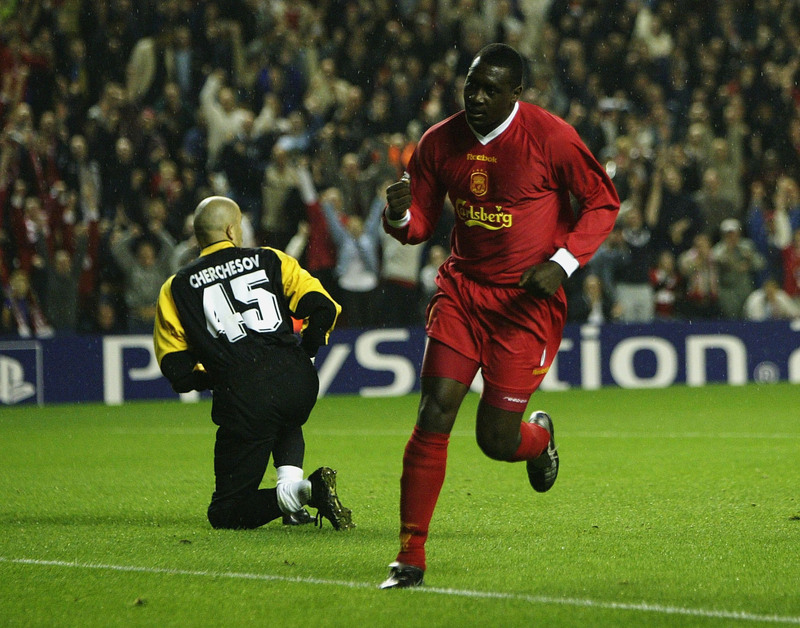 ...Spartak Moscow visited Anfield was back in October 2002 for a Champions League group-stage tie. Liverpool ran out 5-0 winners that night, with goals coming from Emile Heskey (2), Bruno Cheyrou, Sami Hyypia and Salif Diao. A similar outcome tonight wouldn't be bad, would it? 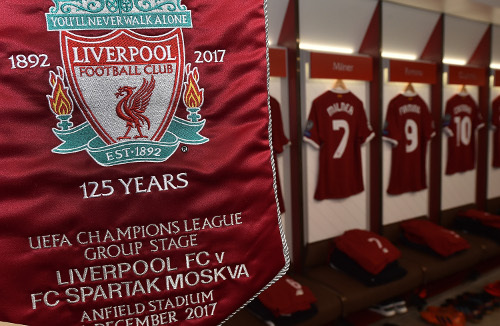 Remember, you can listen to live audio commentary of LFC v Spartak on this website. November was a fruitful period for the Reds, but what gets your vote for Goal of the Month? Take a look at the contenders in the free video below, then cast your vote for your favourite here. And it finished 2-0 to our U19s, with Curtis Jones and George Johnston on the mark. Fans should arrive at the stadium for tonight’s match in plenty of time. Bringing bags to the stadium is actively discouraged. However, fans arriving at the stadium with a small personal bag (i.e. handbag/medical bag) should expect this to be searched and tagged before entry. Bringing a bag may delay your entry and in some cases may lead to non-entry to the stadium. Plan your route in advance. 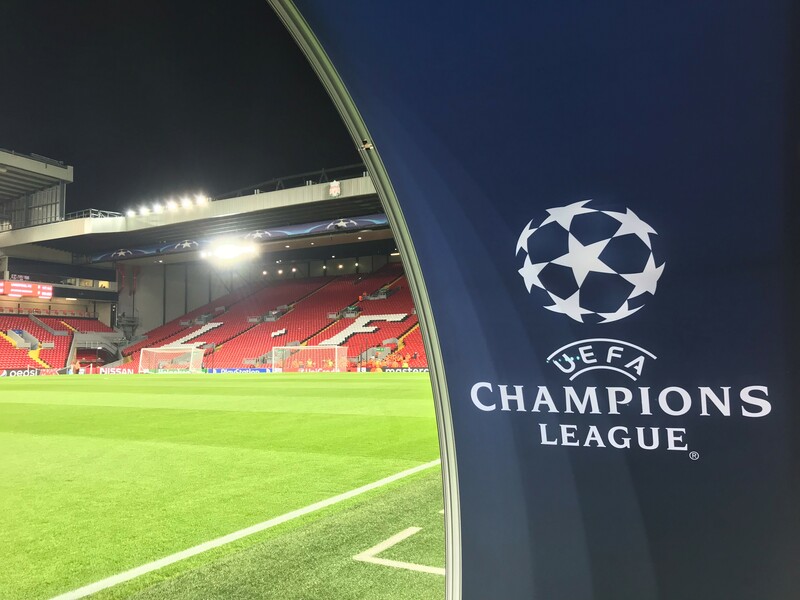 Liverpool FC, Merseytravel and transport operators have been working together to help make matchday travel more convenient for supporters heading to the stadium - getting to the game via public transport will be easier. 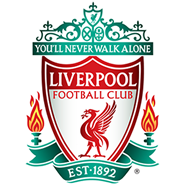 Only vehicles displaying with a valid smartcard or permit, or fans with a pre-booked pass for LFC operated car parks will be allowed to park in the Anfield area on a matchday. Road closure times will also be in operation prior to kick-off (90 minutes Walton Breck Road and 4hrs Anfield Road). 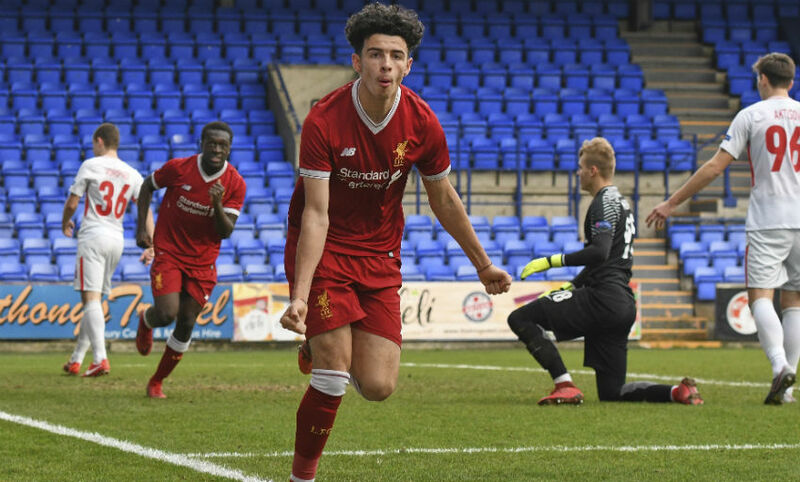 Over at Prenton Park, where Steven Gerrard's U19s - who have already secured top spot in Group E of the UEFA Youth League - are playing Spartak. A dominant first-half display means the young Reds lead 2-0 at the break thanks to goals from Curtis Jones and George Johnston. 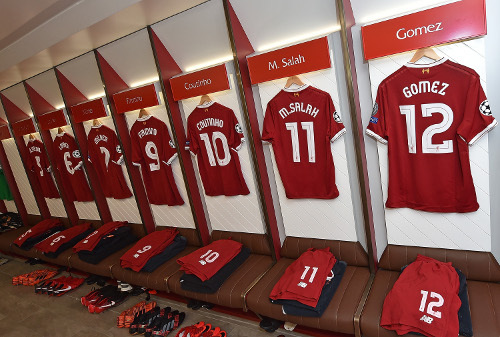 Jordan Henderson, meanwhile, uses his own notes to label tonight's clash a 'cup final'. "Our situation is good, of course it is. We are top of the group, our destiny is in our own hands, we’re at home and we haven’t lost in the competition yet, despite facing really strong teams," writes the captain. "We have to treat this game – players, staff and supporters – as the most important of the season." 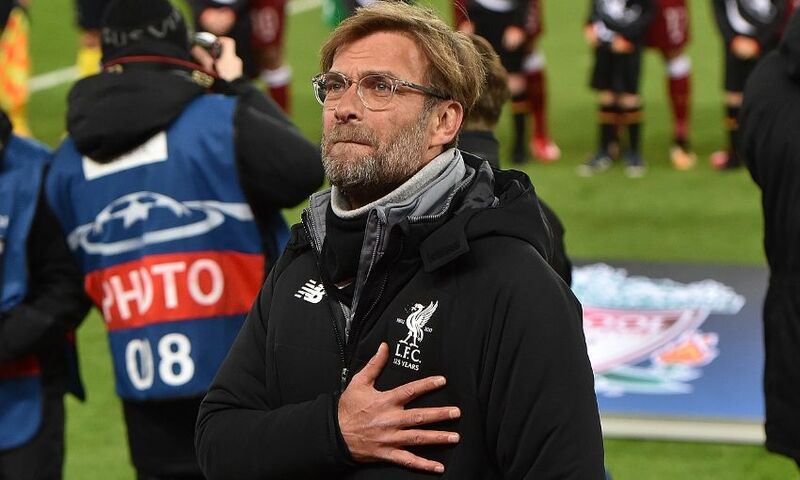 In his programme notes, Jürgen Klopp has called for all connected with LFC to harness their collective power to ensure the Reds are involved in the last 16. "This is not about pressure - this is about opportunity. 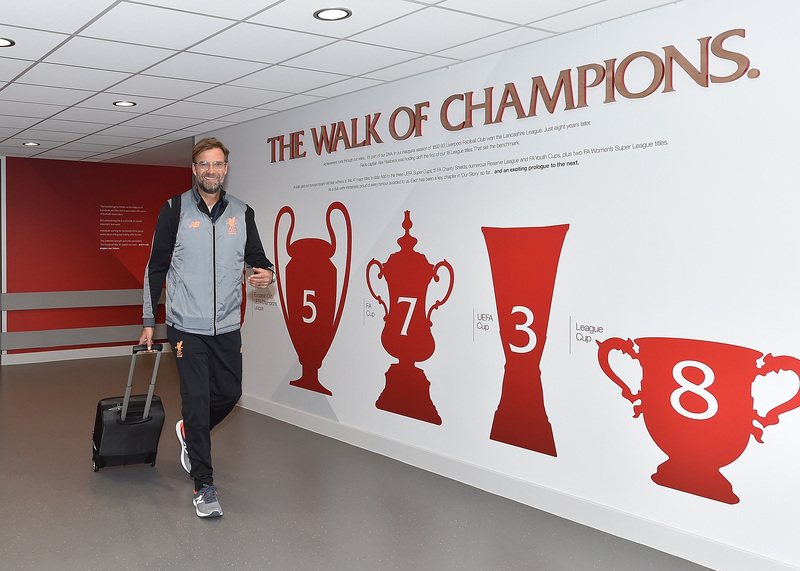 I want everyone inside Anfield with a beating red heart to embrace this opportunity. We have done so before. We did it in the final game of last season when we knew we had to beat Middlesbrough to qualify for the Champions League. We did it back in August against Hoffenheim when we needed to reach the actual group stages. And tonight there is another big job to do," he writes. Sadio Mane joined Jürgen Klopp on pre-match media duties at Anfield on Tuesday. 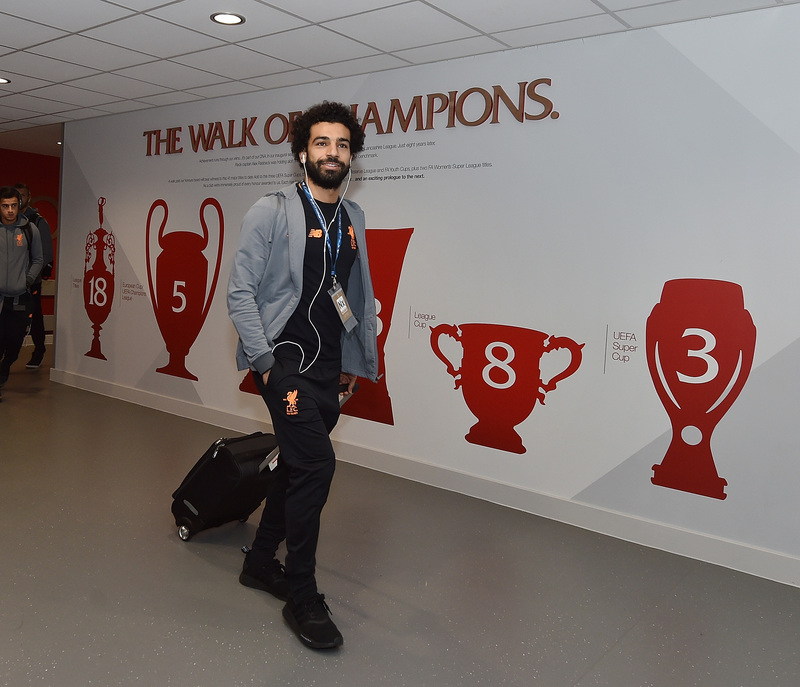 Good morning and welcome to our live blog on a huge day of Champions League football here in Liverpool. 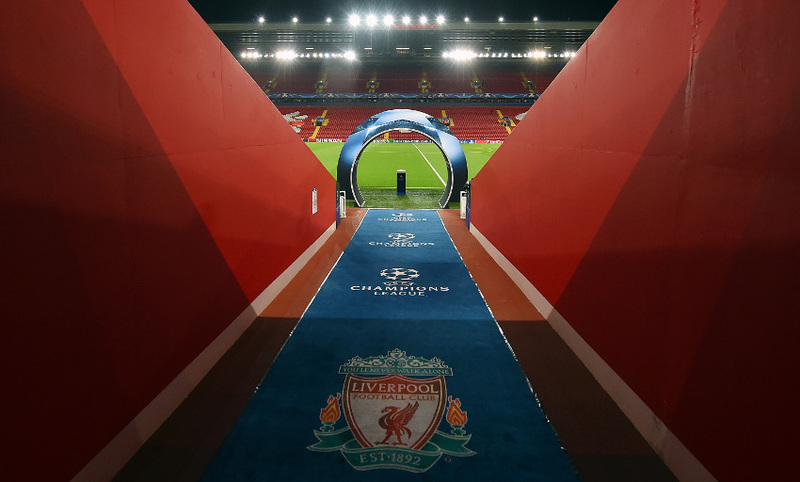 The Reds host Spartak Moscow at Anfield this evening needing a draw to book their place in the last 16. A win for Jürgen Klopp's team will seal top spot in Group E, while Spartak need a victory to stand any chance of reaching the knockout rounds. Whatever way you look at it, there's so much at stake!